Heat oven to 350 degrees F. Coat 2 cookie sheets with cooking spray. In a large mixing bowl, sift together flour, cocoa powder, baking soda and salt; whisk in sugar until combined. Place mixture in a food processor and process until ingredients are finely ground. 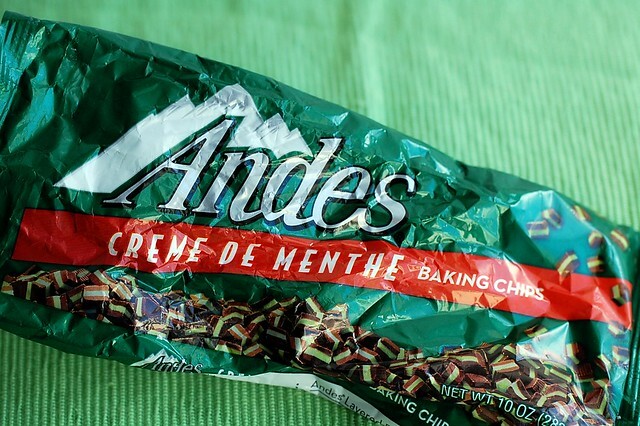 In a large mixing bowl, using a mixer on low speed, beat butter and melted Andes pieces until well combined and creamy. Add dry ingredients and beat until just combined. Form dough into a skinny log by wrapping up in waxed paper (about the width of Girl Scout Thin Mints). Slice the log into rounds, about an 1/8-inch thick. Place on cookie sheets; bake 12 minutes until slightly crisp. Transfer to a large (cool) cookie sheet. Place in freezer and freeze 15 minutes. Melt together chocolate chips and shortening, in a medium bowl, in the microwave, for 1-2 minutes, stirring every 30 seconds until melted and smooth. Dip cookies into melted chocolate and place on waxed paper to dry. 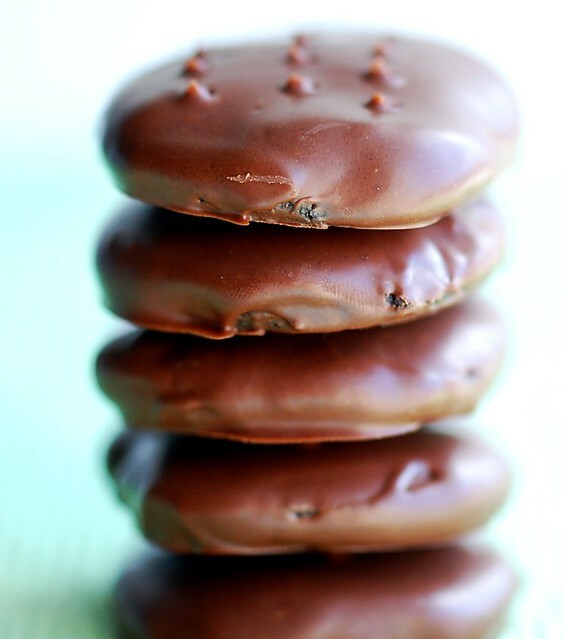 37 comments on "Copycat Girl Scout Thin Mints"
lol I LOVE the Charlie Sheen references in your post! So perfect! Also, I have a very weak spot for Girl SCout Cookies as a former one myself. I will definitely be making these! 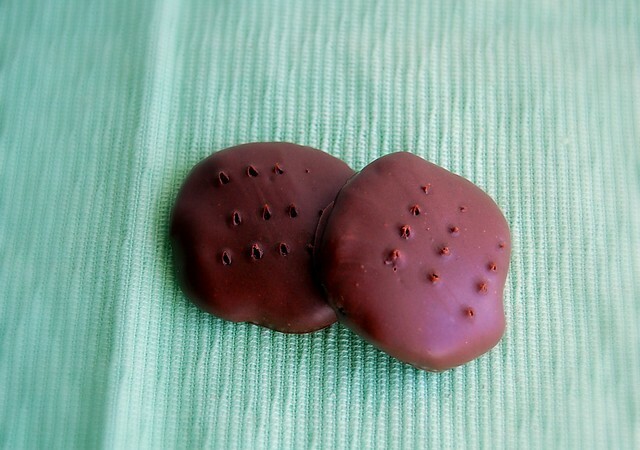 When i was growing up, I loveeeeeeeed thin mints. Well, I still do. I created a fast/easy "thin mint" fudge a year or so ago that's vegan and gf. I was too scared to tackle cookies b/c to get them crisp like that was puzzling me. I just bought a box of thin mints for husband---they are his favorite. Now I can make them for him year round! Thanks for the recipe :)! I like your cookie version WAAAAAY better! Yum. 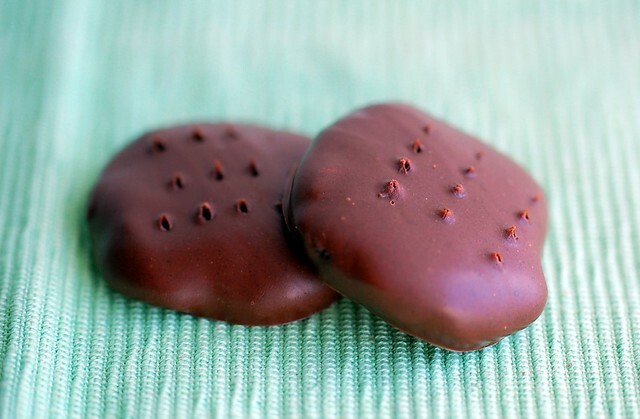 Ummm homemade thin mints!?! Sign us up. We are all over these! Love the twitter references! You're #winning! These look so good in the morning! Yummmm, chocolate! That's a great idea, Emily! You are soooo creative! I wanted to let you know that I finally started a food blog and I'm posting it to go live today - due very much to your inspiration! Thank you for always pushing yourself to do better and accomplish more, you are very much an inspiration to me! If you somehow find the time, come on by and check it out! I bet these are beyond fabulous! Seriously?! I thought the girl scouts hit up everybody at least 3 times. How did you get missed? I love that you took it upon yourself to make one of the best girl scout cookies. Looks delicious! Good job! Wow, these look amazing - thank you for the recipe!!! I'm not a mint lover, but you are definitely showing off your fire-breathing fists with this recipe...whatever in the world that means. That's sad you didn't get this year's girl scout cookies. Maybe you could hang around outside a middle school and score some that way. I just finished my only box of Thin Mints and I was sad I didn't have another box. This recipe came right on time cause now I can make my own. Thanks for sharing. Unfortunately girl scouts don't come knocking on doors OR sell cookies in front of supermarkets in NYC. Guess I'll have to make them myself as well! They look so good! You are a rockstar from Mars!! The mint cookies are my favourite girl scout cookies, but I have a feeling these homemade ones would be so much better!!! mmmmm i sure do love me some thin mints!! these look tasty indeed!!!!! I love love love Thin Mints! They are one of my favorites. These look so addicting! The Girl Scouts here sell cookies at the T stops so I can usually get my hands on some but I don't understand why they don't see them online too! Hmmm - I love these Emily! I think they look better than the originals. these look so minty fresh good! yum! If you can't get thin mints try the walmart brand version of them. They are really good and very similar to the real thing. Plus, they are a lot cheaper! 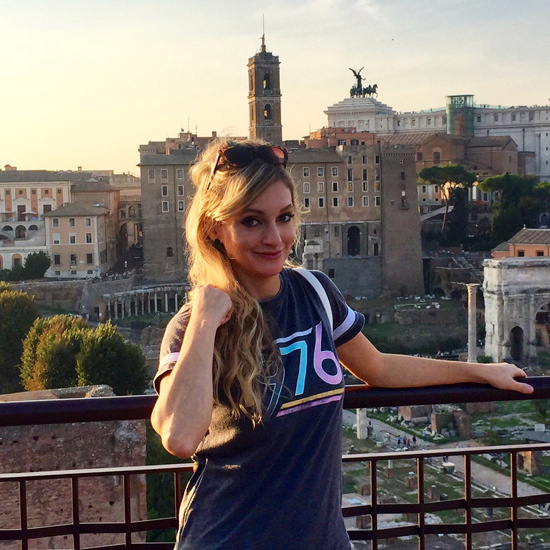 Lauren, I will visit your blog soon! I'm very behind on my blog reading. Cathy, I wish I could! I've never had those before. Anon, are you talking about the grasshopper cookies? By Keebler? I can't find any girl scouts this year either and I need some thin mints, they're so good! these look so good. I love these cookies!! Must make them! I had to have a friend ship them to me from North Carolina this year. I love Girl Scout cookies. But have never been a fan of thin mints...I know...I'm weird. Now, if you make the Caramel DeLites...I'm all in!! No, I haven't tried the Keebler. These are by Great Value and called Fudge Mint.